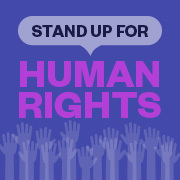 Stand up for human rights in Brazil. Call on Secretary of State Mike Pompeo to hold Bolsonaro accountable by signing the 'Dear Colleague' letter from Reps. Debra Haaland and Hank Johnson. 86%	We've reached 43,122 of our goal of 50,000. 87% We've reached 43,734 of our goal of 50,000. 61%	We've reached 46,260 of our goal of 75,000.